Maysaloon - ميسلون: For Averroes, can there be any conflict between theology and philosophy if both are done correctly? For Averroes, can there be any conflict between theology and philosophy if both are done correctly? When theology and philosophy appear to be in conflict, this is not due to anything inherent in either of these two fields but rather in the method with which they have been applied. This is the claim that Averroes makes in his Decisive Treatise. Theology deals with revealed truth with regards to God as the creator and His relation with His creation. On the other hand the ancient philosophers, or lovers of wisdom, sought truth and permanence in a world which is constantly changing and where nothing appears to be constant. Yet in spite of the fact that these two extremes appear to be at odds with each other, both the theologians and the philosophers share a reverence for Truth. For Averroes, "truth does not oppose truth but accords with it and bears witness to it" (The Decisive Treatise, 18). The Decisive Treatise was written in an atmosphere which was generally hostile to philosophy, a subject that was viewed with suspicion as going against theological doctrine. Today we would refer to such a conflict as one between theology and science, for in those days the various sciences were all considered to fall under the remit of philosophy. This would make Averroes' argument just as relevant today as it would have been when he had first made it, an obvious example would be the debate on creationism versus evolution in Western classrooms. But Averroes was a Muslim, and we must understand that Islam was the theological truth for his world-view. So the lack of conflict he refers to is specifically between Islam on the one side, and philosophy on the other. Averroes did not just attempt to defend philosophical claims from the attacks of the theologians, he not only declared that the study of philosophy was a religious obligation, but that those who opposed it were in fact themselves disbelievers. Furthermore, any damage which can be attributed to philosophy is entirely accidental and to claim that it contains anything which is opposed to Islam would in fact do a disservice to Islam. The only line which he does draw with regards to philosophy is that it not be taught to the majority of people because of the damage that this may cause. Human beings capacity for understanding is divided into three broad categories, a view which is in fact essential in order for Averroes' claim to be valid. These methods of understanding are the demonstrative, dialectical and rhetorical and they provide the necessary space for Averroes to manoeuvre between the demands of theology on the one hand, and philosophy on the other. One must remember that the overall attitude to philosophy at the time that Averroes wrote his treatise was, in general, suspicious of philosophy as a discipline which risked leading people astray and to damnation. In order to introduce the subject without provoking a negative reaction, Averroes had to overcome two main hurdles. Firstly, does the Law (Islamic) permit the study of philosophy? Secondly, the permissibility of learning from non-Muslims. In order to answer this, Averroes must first make sure that the reader understands what it is that philosophy is about. He refers to philosophy as the teleological study of the world, the "study of existing beings and reflection on them as indications of the Artisan" whilst making a conditional proposition, if philosophy is x, and the Law commands that we study x, then the Law commands philosophy. It is important for Averroes that he draws the link between the commands in the Quran to reflect and pursue knowledge and between the philosophical methods best suited for such studies, in this case demonstrative reasoning. At this stage, the first link has been made, but it is still not enough to convince that demonstrative reasoning is the method the Quran is referring to. It is here that Averroes pulls out his trump card, for he immediately follows by associating demonstrative reasoning with another discipline that the theologians had no qualms about, yet it too did not exist in the days of the prophet. This discipline is Law (Fiqh) in Islam. He immediately puts the traditional theological argument on a back foot by referring to the person who wishes to learn and reflect as the "religious thinker" and that this religious thinker must learn logic just as "the lawyer must study legal reasoning". The link he makes with law helps his argument further by helping to make the subject matter something that the reader can then relate with, lessening any suspicions one may have of the subject as a foreign invention by non-believers. Any issues one may have with this matter can be quickly overcome by referring to the vast amount of knowledge which would have to be "rediscovered", something not possible in a single lifetime and surely a ridiculous demand to make. This especially in light of the fact that the knowledge is already available and all one would have to do is to sort out the true from the untrue. Philosophy is harmful accidentally and not essentially and to ban it would be akin to banning water to those who are thirsty (seeking knowledge) simply because a few people had once choked whilst drinking it. The analogy is simple yet effective and introduces Averroes' key point, people are convinced by either demonstrative, dialectical or rhetorical arguments. These three categories fit in nicely with the Quranic verse "Summon to the way of your Lord by wisdom and by good preaching, and debate with them in the most effective manner" (16:125), which he cites to his advantage. To what extent the Quran is referring to demonstration, dialectic and rhetoric is up for debate, but it serves as the perfect bedrock for his argument and Averroes exploits this effectively. Demonstrative proof is the finest way to carry out the Quranic exhortation to reflect and ponder the creation of the Creator, as such, it cannot be in conflict with what Scripture states. Demonstration can, in rare circumstances, appear to be in contrast to what the Scripture is stating. When this happens, we see why it was important for Averroes that there be a particular group of people qualified in demonstrative reasoning who are in a capacity and authority to allegorically interpret the Quran. 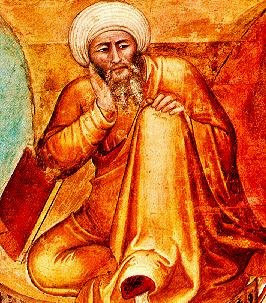 The learned scholar who judges in error still receives half the divine reward of one who judged correctly, according to a prophetic hadith that Averroes quotes from, so his religious thinker is permitted to attempt allegorical interpretation of scripture, even at the risk of error, because he would be the most qualified person to do so. Any other person who assumes this capacity is committing a grave error and risks being labelled a disbeliever and executed. But why should scripture be interpreted allegorically when it appears in contrast to demonstrative reasoning? Firstly this is because the interpretation of scripture allegorically is not a new approach, here Averroes cites the case of the Ash'arites with regards to accounts of the descent of God in the heavens and His sitting on a throne. The problem with allegorical interpretation is not so much as to the legitimacy of its use, of which there is no question, but rather with regards to the scope of its application. Having overcome the initial reservations a reader might have had with regards to philosophy, Averroes now presents to us a three tier categorisation of people based on his new philosophical/religious basis. The demonstrative class are the philosophers, those whom the Quran has urged to seek better knowledge of God's creation, and thus God Himself. The dialectic class is what was traditionally referred to as the theologians and the common masses are the rhetorical class, who must not even know that an allegorical interpretation of the Quran is possible let alone being carried out. The old dichotomy of theology/philosophy is replaced by this new, inclusive approach. For Averroes, intellect, logic and demonstrative reasoning are God given tools for assisting in the comprehension of His very own creation, applied properly and, most importantly, by the right people, it becomes unthinkable that true scripture provided by that same God, would then relate to a different reality than that which can be expressed in our minds using the most stringent of reasoning methods available to rational beings. Philosophy and theology are "companions by nature and lovers by essence and instinct" (Decisive Treatise, 74) and the fact that they are viewed as opposed to each other is not only because of a flawed application of religious interpretation, but also to the distortion of philosophers, "For injuries from a friend are more severe than injuries from an enemy". In fact Averroes goes to great lengths in order to distance himself from the philosophical views of al Farabi and Avicenna, attempting to correct their neoplatonic framework for a true Aristotelian philosophy. At the same time, he condemns theologians such as al Ghazali in the strongest terms for the damage they have done in spreading demonstrative arguments amongst people who would be harmed rather than benefited by it. This by virtue of the fact that they are only capable of grasping the truth rhetorically. This truth is what must be spread to the people by any means possible, but in the correct manner. When Averroes merges the goals of theology and philosophy, what he is doing is asking theologians to accept that the use of demonstrative reasoning is not something which is unique to non-believers, but a God-given human capacity for grasping the creation of God. Scripture is there to teach true science and right practice. True science is the knowledge of God, right practice is what brings the human being happiness and the avoidance of which brings misery. In a slight acknowledgement to the importance of the theologians, Averroes makes a digression in which he points out where in his complete system traditional theological and religious belief is important. It is the second of the practical sciences, the first being jurisprudence, concerning itself with acts of the soul and the preparation for the future life in paradise. This, according to Averroes, involves "the greater fear of God, which is the cause of happiness" (Decisive Treatise, 53). When he divides people into the categories of demonstrative, dialectical and rhetorical, it is because he recognises the different abilities that people have. Not all can grasp the difficult arguments of demonstrative reasoning and some people are content with accepting rhetorical arguments. It is not something to be reprimanded for when this is the case since it is still possible for that person to achieve an understanding of Truth, just not necessarily in as complicated a manner as the philosophers, but enough to guarantee their happiness in this world and the next. To confuse the masses with something they cannot comprehend is to take from them something and not leave them anything to replace it, the result of which would be dissent, conflict and chaos. As mentioned previously, Averroes believes that the person who would perform such a harm must be condemned, since he who leads to unbelief is himself an unbeliever. Instead, when the common man is puzzled concerning ambiguous verses in Scripture, it would suffice to give a rhetorical argument in the lines of God's mysterious knowledge and that some things are not comprehensible by mortals. At no time must the rhetorical class ever realise that an allegorical interpretation of scripture is possible. To conclude, we have seen that Averroes has performed something quite remarkable with regards to the relationship of philosophy with theology. Rather than maintain a defensive position claiming the mere permissibility of philosophy, he has in fact stated that the Scriptures make it a religious duty for the thinker to pursue philosophy if they are able to. Crucial for Averroes is to distinguish himself as a philosopher from a purely Aristotelian background, rather than the distorted neoplatonic school to which al Farabi and Avicenna belonged to. By doing so, he gave himself a free hand to reconcile his new, clean philosophy, with religious text. His approach is not so much an attack on the theologians as a rebuttal of previous philosophers who had done damage to the way the discipline was viewed. In addition to clarifying his own understanding of what philosophy was, he also proceeded to point out the fallacy of theologians who believed that Scripture and philosophy dealt with two separate truths, showing that where there was contradiction one could find the cause in unsound philosophical arguments or theological assumptions that had no basis in Scripture itself. For Averroes, philosophy and theology are like the same light, shining in through different windows, both allowing humanity the opportunity to bask in the same sun's warmth.